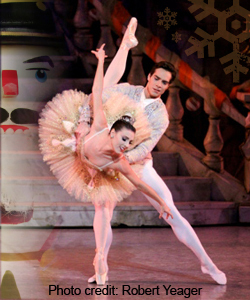 New York City Ballet principal dancers, Tiler Peck and Gonzalo Garcia, join our resident company for our annual Nutcracker performances. Complete with opulent sets and costumes along with dazzling choreography for a mega cast including the Kalinin Russian Dance Troupe. 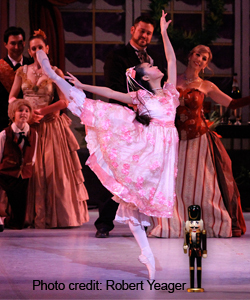 This 24th Nutcracker season promises visions of sugar plums and a 100% chance of snowfall on the audience! 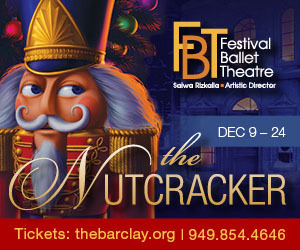 or visit the TOCAP Box Office.